Welcome to casa castillo! This spacious 2 bedroom, 1. 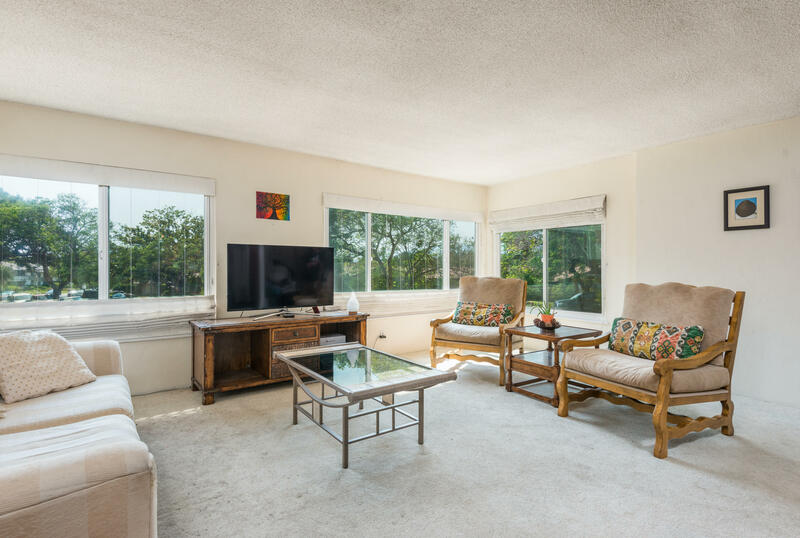 5 bath condo has an updated kitchen that opens up to a large dining area and living room. 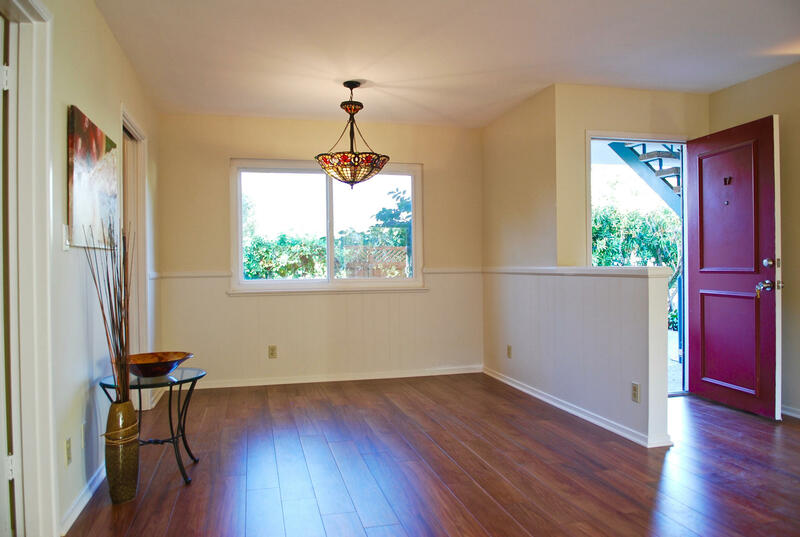 Tile floors run throughout the downstairs, while carpet keeps the staircase and upstairs bedrooms warm and inviting. 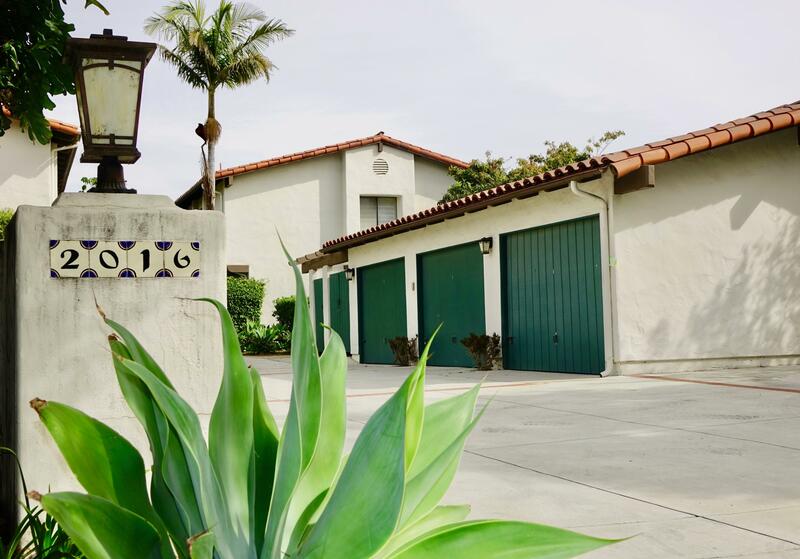 The two bedrooms are large and have cathedral ceilings and windows looking out over the spanish style complex and red tile roofs. Out back you'll find a tropical patio with adjacent extra storage space behind the garages. The complex has only 7 units, each with a detached 1-car garage plus extra off street parking. 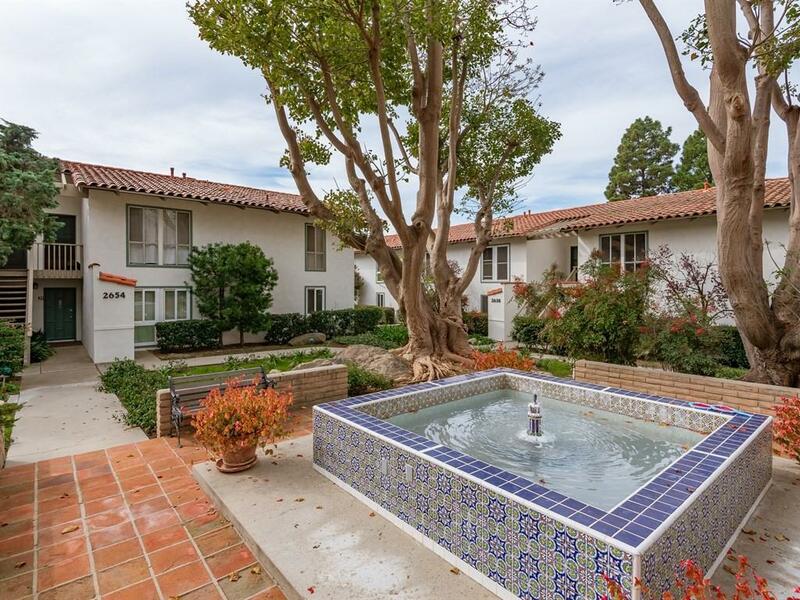 Located near downtown santa barbara, the santa barbara mission, and cottage hospital. Ground level (no stairs), spacious two-bedroom, two bath home with newer forced air heater, upgraded viking stove, dual paned windows, and fireplace. 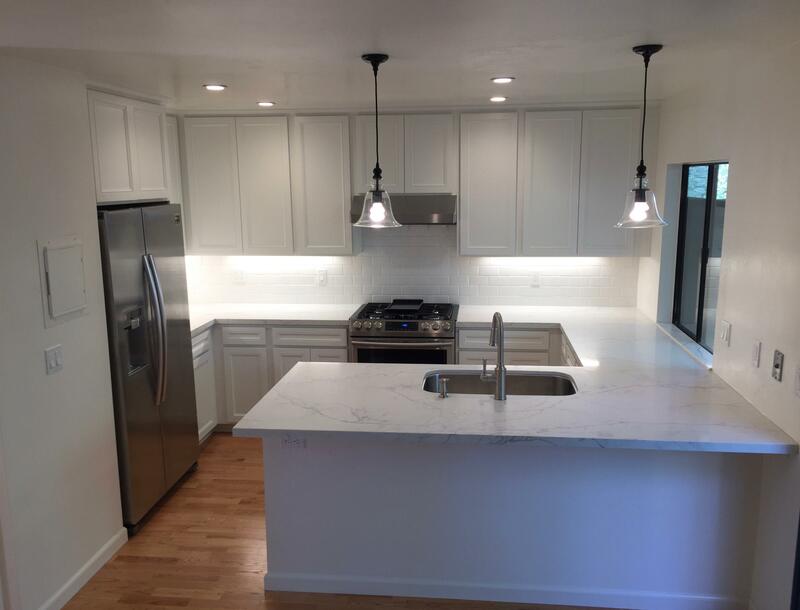 Additional features of this 1300 sq. Ft. Home are plantation style shutters, a generous sized living room with fireplace, dining area with tile flooring, large (private) patio area within a short distance to the pool. Close to all conveniences, this home has all the amenities one needs. 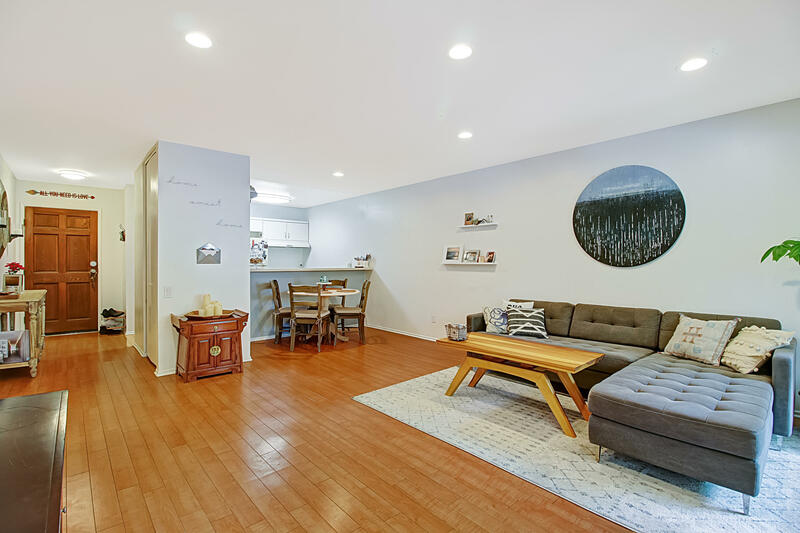 This is an updated single level bright unit with 2 bd/2ba. ,gas fireplace in living room, private fenced in patio, 1 car assigned carport, spacious storage area. New paint and hickory laminate flooring throughout. New tile floors in bathrooms. Double pane windows and sliding door. Mountain views. Close to state st. , shopping. Quiet complex. All owner occupied. Hoa fee includes earthquake insurance, water and trash. Luxurious end unit in mid-town high-rise this condo offers more square footage than the interior units in the complex, massive storage and extra windows for more light. Feels like a house. Located on the ground level for convenience with underground garage and common laundry for security. The screen views overlook green space with well maintained grounds, trees and flowers. Easy access to services. Professionally cleaned & painted.